Happy New Month! Can you believe it is November already? The year moved along pretty fast with Thanksgiving and Christmas just weeks away. I kicked off my holiday look on Monday with this red dress here. In the coming weeks, I will be showcasing different holiday inspired looks for different holiday events and work appropriate holiday styles. I will also be sharing different ideas for gifts i.e. for mom, dad, kids, friends and much more and I will share some of my unboxing (of purchases) on Instagram Story and wish list on the "gift guide" section of the blog here. While holiday styles often revolve around red, there are other colors worth exploring. 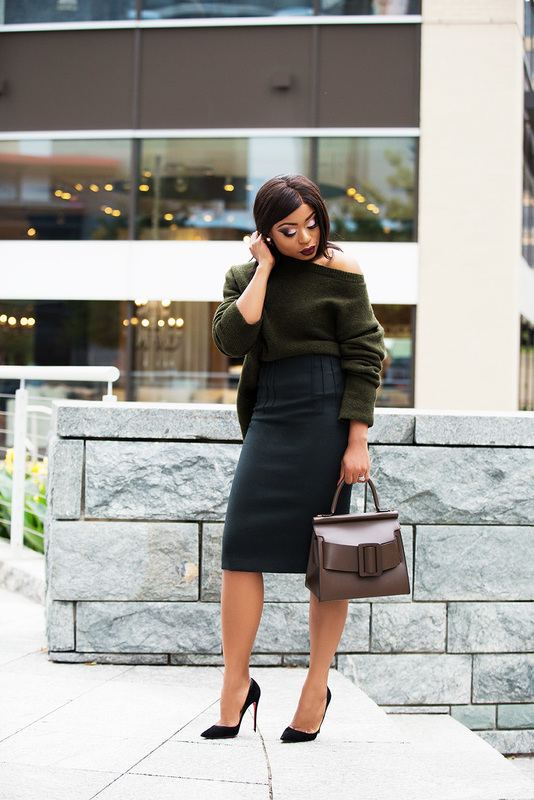 Another great color to wear during the holiday season is green and the deep tone of the green on today’s post makes a great fall and holiday color. Today’s look sets off the tone for a fall work style and holiday style in a subtle way. 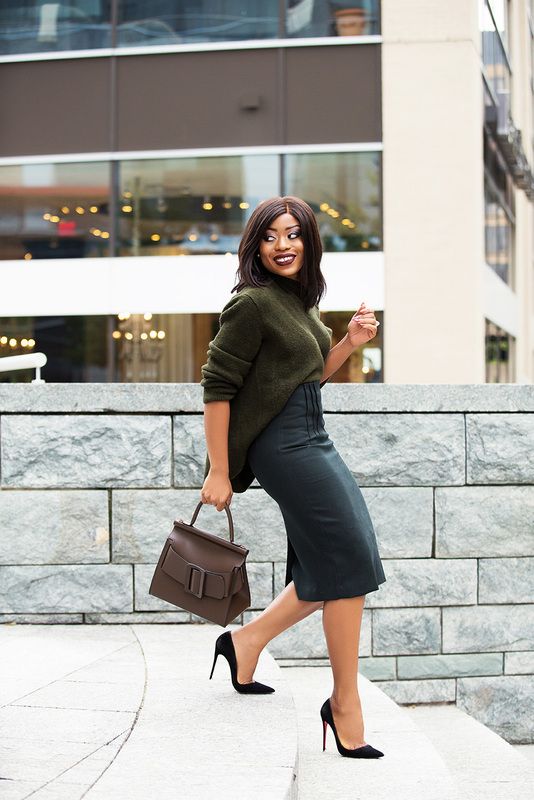 The green pleated pencil skirt is thick enough for colder days and I paired it with a chunky-knit sweater in a different shade of green to complement the skirt. 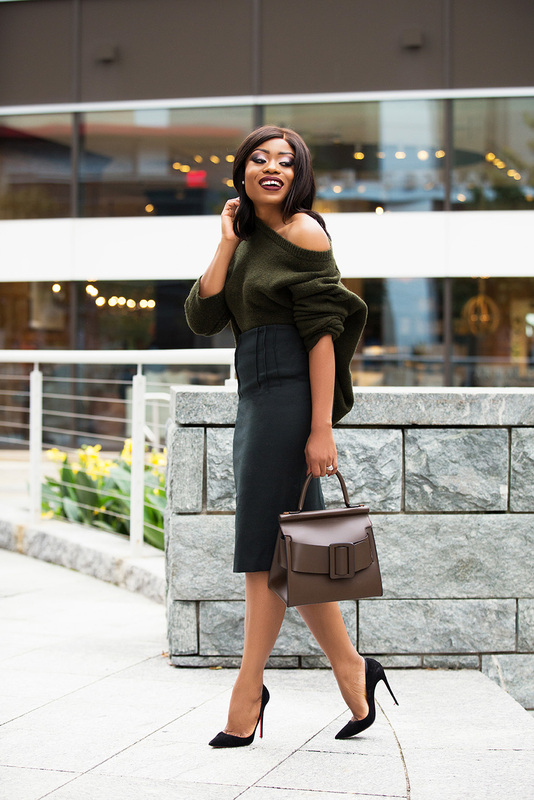 If you don't want to pair with a sweater, you can substitute with this green blouse. 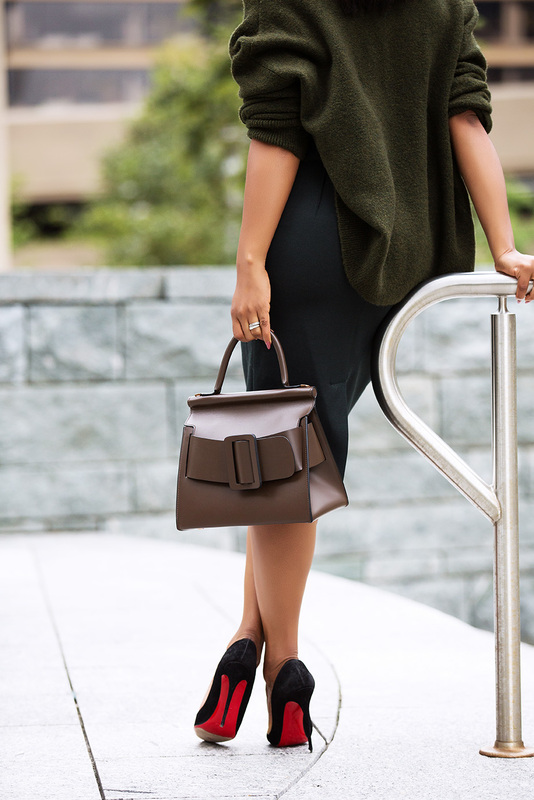 I completed the look with classy black pumps and a brown structured bag to offset the monotone color. 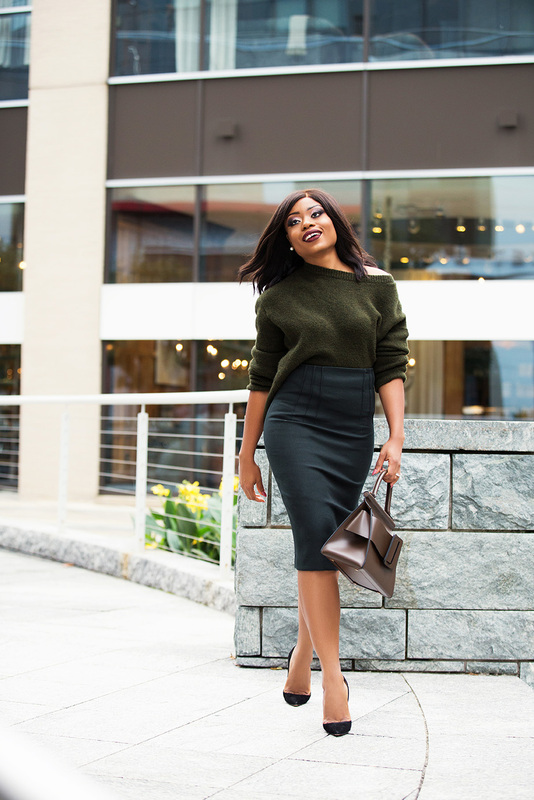 With this look and color, you can set the holiday tone at work this season.